This is Part 2 of the interview, Toby Feldman of Biz Latin Hub Mexico spoke with Sergio Almazán and Donald Smallwood from the Australia, New Zealand and Mexico Business Council (ANZMEX). Part 1 focused on ANZMEX’s growth and activity and looked in detail at the role they play in supporting the Australasian community in Mexico. Part 2 will address a wide range of issues relating more directly to industry and business opportunities. Biz Latin Hub (BLH): What is the next step for ANZMEX? Donald Smallwood: We need to grow…And we strongly believe that this is an interesting time to do so. With CPTPP and initiatives such as the Pacific Alliance, it is a good time for Mexico to look more towards Australia and New Zealand and vice versa. That is why we are talking this morning! We also have events where a member presents their business programme. This is really interesting and is becoming more and more popular with every time that we do it. They come in and talk about the challenges that they have, the opportunities available and how they overcame any problems. It is called the Discovery Breakfast Series. It is a great way for companies to increase exposure for themselves and for the industries that they work in. BLH: I was wondering if you could share with us, anonymously, of course, a profile of a company that has presented their business programme at the Discovery Breakfast Series. Donald Smallwood: Well let’s take the last Discovery Breakfast. We had two totally different companies giving their plans. One was an aesthetics rejuvenation clinic. It is a growing, growing industry. They now have 11 or 12 clinics around Mexico City and I think they have a few outside the city. The company owners are an Australian woman and a Mexican man. They realized that this business is growing and he left finance to dedicate himself to this new sector. They highlighted the problems of a small business setting up and having to deal with local government, state government and the federal government. She outlined the problems of corruption, how to deal with it and how to make the most of the opportunities for success! In the same meeting, we had a guy that represented a large Australian company in the gambling area, focusing on slot machines. I think they are the largest in the world now. They have manufacturing facilities in Mexico and Las Vegas. They are involved in a process where the government must approve that the machines are squeaky clean as the regulations for gambling are very strict. Australia is very well known for its mining prowess but has very little investment in Mexico. Donald Smallwood: At the Mining Chamber? That was actually the first major event we ever had on mining and we want to turn it into a recurrent series. We have 4 members now that are part of the mining industry. Australia is very well known for its mining prowess but has very little investment in Mexico. Countries like Canada already have a huge presence here. We decided that we should do something to try and raise awareness of the opportunities available. In response to that meeting, we are developing a path forward to help Australian companies establish operations in Mexico. We are working directly with Austrade to achieve this. 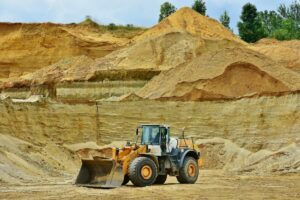 One of the keys of enticing companies to Mexico is having connections with a huge company like BHP which has already enjoyed a lot of success. Donald Smallwood: Exactly and the opportunities are huge. It is because it is a long way away. But then again Africa is a long way away but has lots of Australian companies present in the Mining industry. For some reason, Latin America has been left alone. Sergio Almazán: This sense of neglect is key and is what pushed us to follow this path. It wasn’t us that said it, it was the spokespeople of the Mexican mining industry. They have felt isolated for the last 20-30 years as energy and oil took over as the national priority. It is a very important part of the economies of countries such as Chile, Australia, and South Africa and Mexico have the potential to match or even better their performance. BLH: Apart from the mining industry, what other sectors would benefit from Australian-New Zealand innovation? Donald Smallwood: The agricultural industry springs to mind first. Agriculture is such a complicated industry in Mexico due to its structure. There are some very sophisticated agricultural companies in Mexico but 90% of agriculture is small farming and therefore organizing them to work together to boost production is very complicated. There are still opportunities there though. I know that there is some work being done in fishing and in shrimp and there’s a lot of technical expertise in Australia and New Zealand that can help improve productivity. Sergio Almazán: Improving efficiency in agriculture, at least from his discourse, appears to be one of the key areas of priority for Lopez Obrador. Working with projects from New Zealand who are one of the leaders in the world, especially in the dairy industry, should be near the top of AMLO’s list. BLH: Could you talk a bit more about New Zealand in Mexico. From the research I have done I know a bit more about Australian presence, but what are the spaces where New Zealand companies are making a difference? What have they contributed? Donald Smallwood: Let’s take the biggest one that I know, Fisher and Paykel. Fisher and Paykel is a large manufacturing organization in the medical industry. They have a large maquiladora operation on the border and I think they are building another factory. They are selling these medical products to the rest of the world, not just Mexico. They sell to the States, to Europe and everywhere else. They have taken advantage of the proximity of Mexico to the US to sell to a huge market. The companies usually tend to be smaller but the New Zealand Trade and Enterprise are helping to advise companies on how to develop a market in Mexico, and they do not charge for this service. Sergio Almazán: I think Food and Wine coming from New Zealand is a very important market. BLH: That is interesting given the wine industry is starting to take off in Mexico. Is there a strong domestic market in Mexico for wine? Both Australia and New Zealand are looking at opportunities to import wine under the CPTPP as it will eliminate tariffs. Sergio Almazán: It is growing. People are becoming more sophisticated and are choosing local wines. It used to just be French and Spanish for example. There is a big history of beer covering, let’s say, 90% of the market and the remaining 10% was traditionally split between wine and spirits. That is now changing and well worth noting that this 10% is a part of the population that can normally afford to spend money on high-end products. 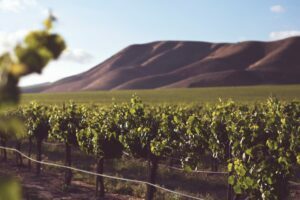 Both Australia and New Zealand are looking at opportunities to import wine under the CPTPP as it will eliminate tariffs which used to make it more prohibitive in terms of pricing. BLH: Would you argue that Mexico has an accommodating business environment? Donald Smallwood: You have to be very careful with whom you make a partnership. If you are a large company you can spend the cash and work directly with the government. If you are smaller, you will need to find someone who can help you. Either a wise partner or a local agent. Sergio Almazán: In all likelihood, you will need to spend money on developing a plan that will allow you to operate safely and responsibly in the country, but once you have done this, you will feel the benefits for a long time in the future. Donald Smallwood: There are a lot of dead bodies on the way to success and it is pretty simple: Don’t be stupid. I presume it is the same if you want to get started in African countries, in any Latin American country with the possible exception of Chile. Don’t be stupid! Find a good partner. BLH: A beautifully Australian way of summarising it… Given the very positive performance of many emerging Asian economies that are geographically much closer to Australia and New Zealand, why do you think that Australasian businessmen and women are turning to Latin America and more specifically, why would they choose Mexico? Donald Smallwood: Who is your final market? That is the simplest answer. If you want to go enter the US market you do not go to Vietnam! BLH: So do you think the US factor is that important? Sergio Almazán: Absolutely, it cannot be understated. It is also a springboard for South and Central America. BLH: Do you think that geographical distances are no longer a big obstacle in the business world? Sergio Almazán: It is still an issue, but it is becoming less and less significant. Asia remains the traditional target for Australian business, but it is slowly starting to change. It is a very young process in Mexico largely because Mexico has not always seen the need to diversify their trade partners. With the US as neighbors, we didn’t see the advantages. But now, in recent history, with the Trump Factor, we have new reasons to look further afield. BLH: Two quick questions before we wrap this up: What is your proudest achievement in ANZMEX? Donald Smallwood: Growth. Members like to be part of ANZMEX, they like the trust and the implicit understanding. The main achievement though is that it is working! BLH: Finally, are you feeling about the future of Mexico-Australia/New Zealand relations? Donald Smallwood: Absolutely. It’s growing. Both ambassadors have stated publicly that they think the opportunities are improving and that the two countries should invest more time and money in Mexico and they are looking more towards Mexico than before. There is also the fact that both countries have sent new attachés here. New Zealand has an Agricultural attaché, a year ago this position didn’t exist. Australia has sent agricultural and security attachés too. It is looking good. The business opportunities for Australian and New Zealand companies in Mexico continues to grow. As the world becomes smaller, companies are looking at regions abroad as a way to expand their operations. Australian and New Zealand companies see Latin America, and in particular, Mexico, as an attractive region to invest in. For further information and support and how to successfully grow your company in Mexico, get in contact with a member of Biz Latin Hub today.